The B-5 Blackout was designed to compete in the 2004/2005 AIAA/Cessna/ONR Design/Build/Fly contest, held in Patuxent River, MD in April of 2005. The aircraft was optimized to perform a combination of a sensor reposition mission, and a re-supply mission. In the sensor reposition mission, payloads had to be carried on the wingtips and deployed in two separate locations on the runway after flying a prescribed course. For the re-supply mission, the payload was carried internally. Flight score largely depended on how fast the missions could be completed, and mission time did not end until the aircraft was disassembled and stored in a box. The B-5 Blackout paint scheme featured a naval camouflage scheme, as well as authentic invasion stripes. 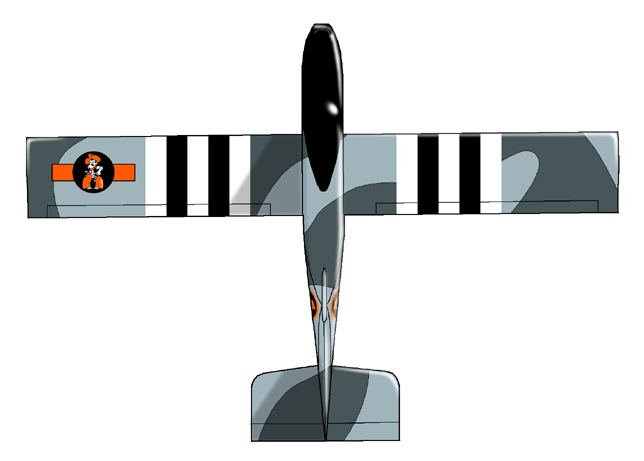 The WWII theme arose as a result of the profile of the plane resembling a medium bomber of the era. 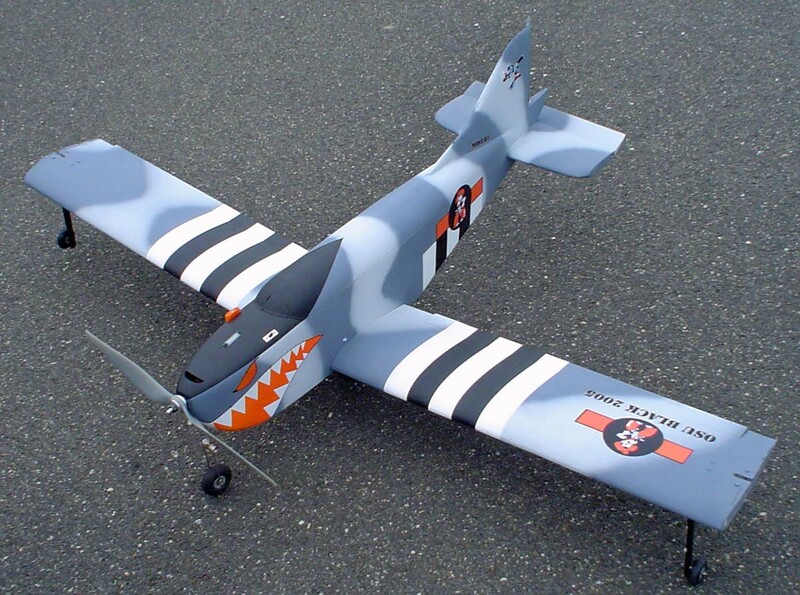 The naval paint scheme was in honor of the fact that the contest was held at a US Navy facility. The Blackout finished in first place at the contest. 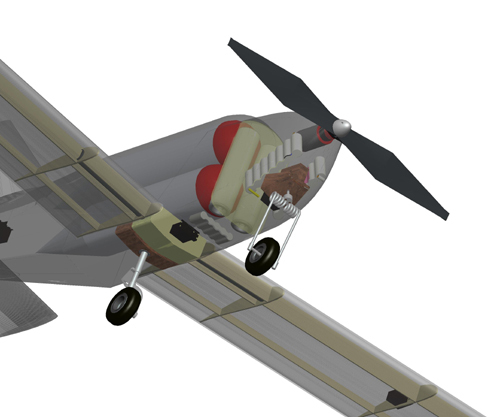 Tandem gear with nosewheel steering, and wingtip outrigger gear. This gear configuration allowed the aircraft to taxi to the next payload box after one payload had been released. 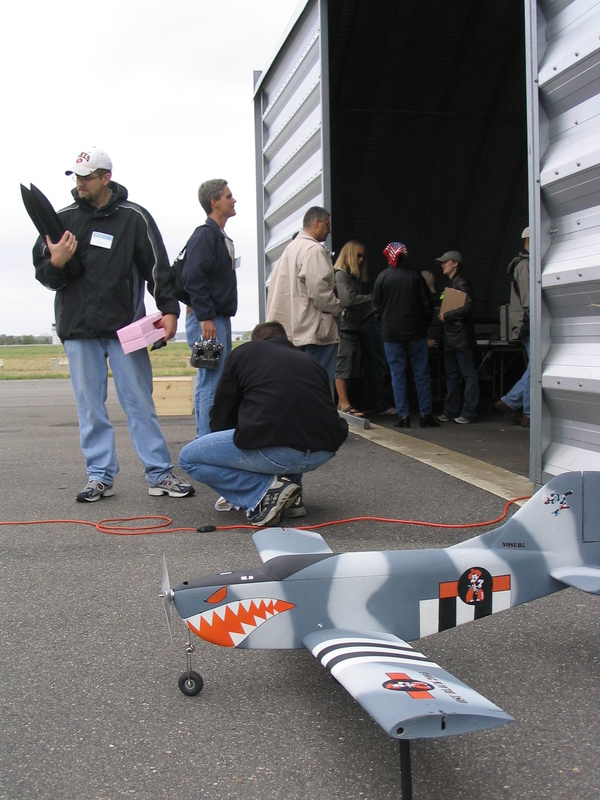 Ground handling with asymmetric payload was one of the most difficult aspects of the design challenge. Magnetic quick-opening payload hatch, magnetic main gear shaft, and wing mounts for quick disassembly. Take off at gross weight (GW): 130 ft. The wingtip payload release system was critical to the success of the Blackout. Each payload weighed 3 lb and was carried on the wingtip. The payload alone was equal in weight to the airplane empty. 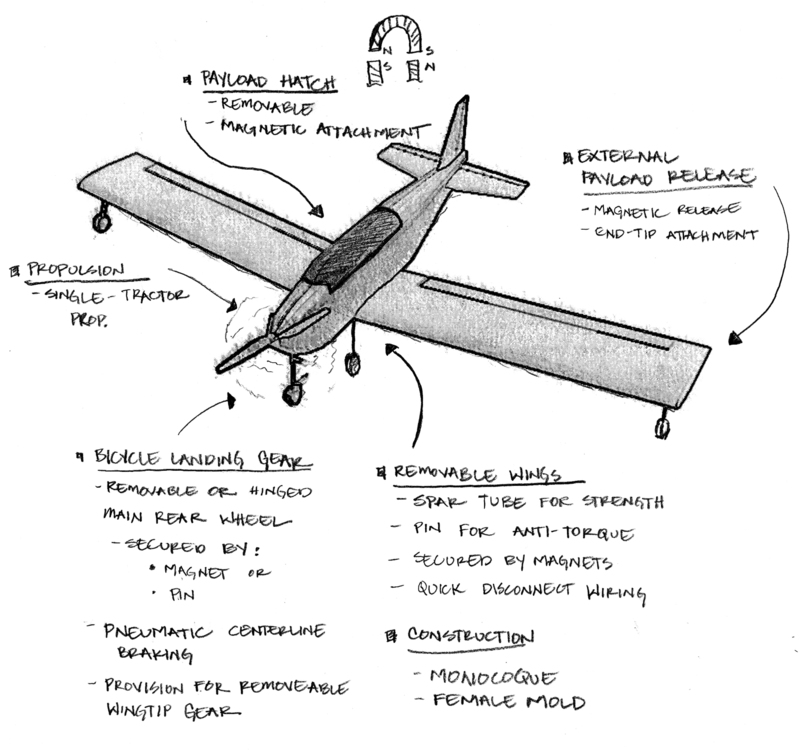 The resulted in challenges in holding the payload during high-g turns and landing, and reliably releasing the payloads in the appropriate locations on the runway. The B-5 Blackout payload release system consisted of a custom made servo release system that could be loaded quickly without actuating the servo. The payload was held from rotating by tapered pins and magnets. Release was accomplished via a servo, and "kickout" arm on the release latch. 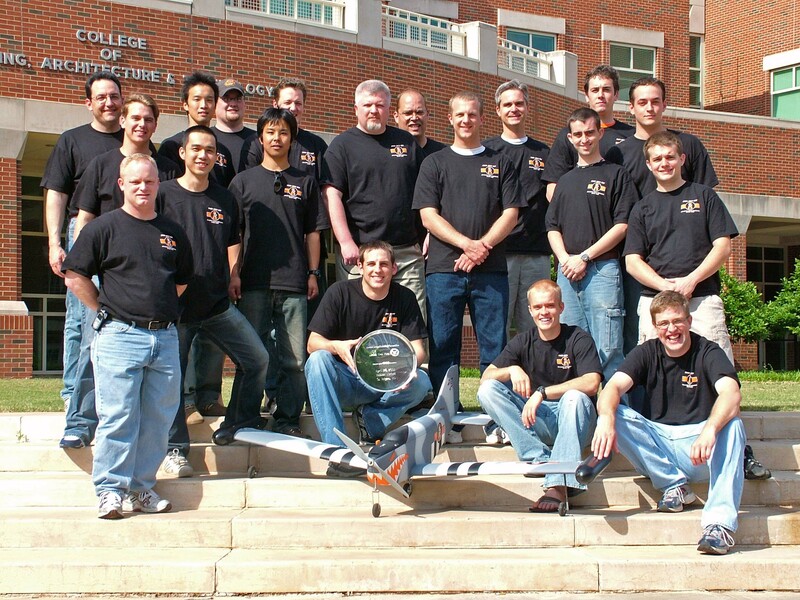 The OSU Black design team was led by a Chief Engineer, and divided into three primary groups: Aerodynamics/Stability and Control, Propulsion, and Structures. 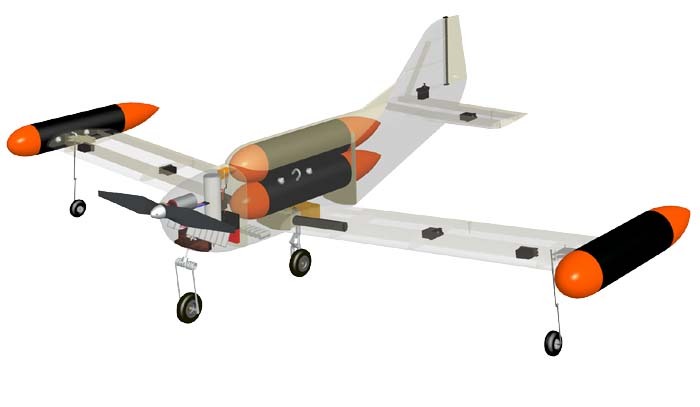 The B-5 Blackout aircraft was optimized to fly two of the three available missions for the 2005 DBF contest; sensor deployment, and re-supply. Flight score was the sum of any two missions chosen, and depended largely on how fast a mission could be completed. 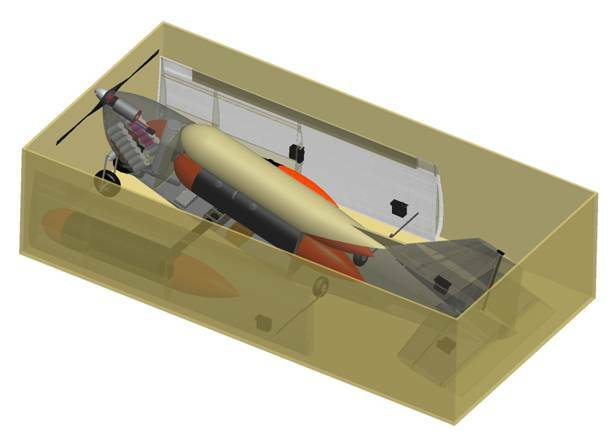 The sensor deployment mission involved loading the external payload on the aircraft, flying a prescribed course, landing, remotely dropping a payload in a box, taxi to a new box and drop the remaining payload, take off again, and repeat. Re-supply involved alternately flying empty, and with internal payload. Pit crews would load the payloads for each mission, and unload the payloads for the re-supply mission. At the end of each mission, the aircraft had to be quickly disassembled at put in a 4 ft x 2 ft x 1 ft box before mission time ended. Total score was the written report score, times the flight score, and divided by the aircraft "rated aircraft cost" or RAC which penalized many aspects of the design. 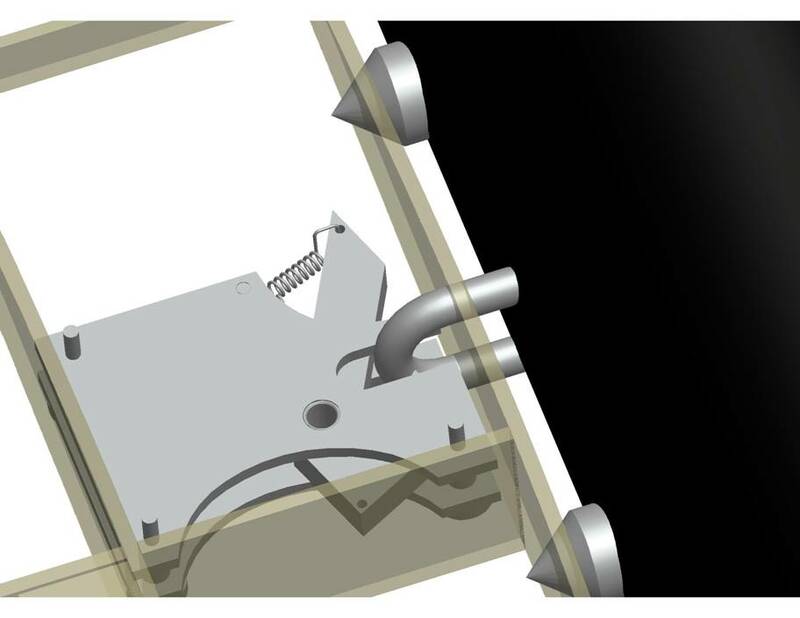 It included penalties for design parameters such as; aircraft empty weight, engine power, wing area, etc. A link to the complete rules may be found below. The OSU Black and Orange teams were in a close battle for first and second place all weekend, with the lead changing hands more than once. On their last flight the OSU Black team needed a flight time of less than 4 minutes, 18 seconds to take back the lead. They ended up scoring a 4:12, which put them in first place for good (see the video above to see it happen). In the end, the difference between first and second was one of the closest in contest history; only 1.2%. The following sponsors contributed to the project. The OSU Black team greatly appreciates their support, and considers them members of our team. Without their support, the project would not have been possible. "Bergmicons", "Bergmified", "Bergmification", "Bergmavideo" or anything "Berg-"
Aerospace Design: 2005 Team Black "B-5 Blackout"